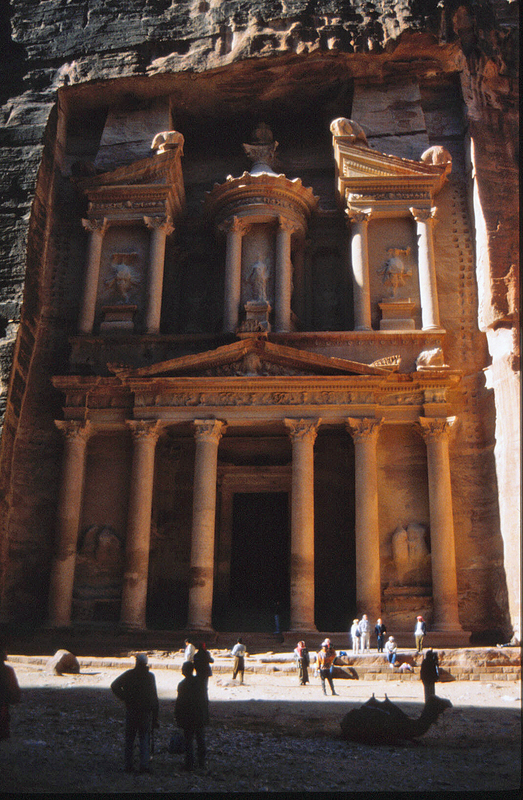 It was the picture of Petra on the front of the holiday brochure that attracted me to book Christmas in Jordan. In fact, there’s a great deal more to see across Jordan – the Roman city of Jerash, where you can visualise the proportions of streets and buildings and temples and climb to the top of the theatre and look down to the stage and the frons scenae like sitting in the gods at the Hackney Empire, the great Crusader castle of Kerak, and the Omayyad desert castles, none of which are actually castles – Qasr-al- Kharana (which is a 7th-century hotel for caravanserai), Qasr Amra (which is a bath-house, of all things, in the middle of nowhere) and Qasr Azraq (not so much a castle as a fort, Roman, even to its stone doors, last operational when T E Lawrence was about). But Petra is what I’d come for, and Petra is what it’s all about – “the rose-red city, half as old as time”. You set off down a ravine, through a cleft in the rock, called a Siq, barely ten feet across in places and anything up to a couple of hundred feet high. And there at the end – though you know it’s coming from the travel-posters, it’s still a surprise – peeps the pink stone façade of what is called the Treasury. It’s bigger than a two-storey building, in crisp clean Classical lines, dating from the 1st or 2nd century AD: it’s actually a tomb, carved from the rock from top to bottom, with three huge chambers behind, which are plain and completely without decoration. From that grand-slam aesthetic experience the walk down into a widening valley, impregnable from the outside world, is punctuated by lesser but still remarkable surprises – a rock-cut theatre, the Urn Monument, the Corinthian Monument, a gigantic temple to some Nabatean (pre-Roman) god. The loos were surprisingly salubrious. We stopped for coffee at a tent where the Bedouin in charge turned out to have the most outrageously accurate East London accent, which he claimed to have learnt from a tourist. 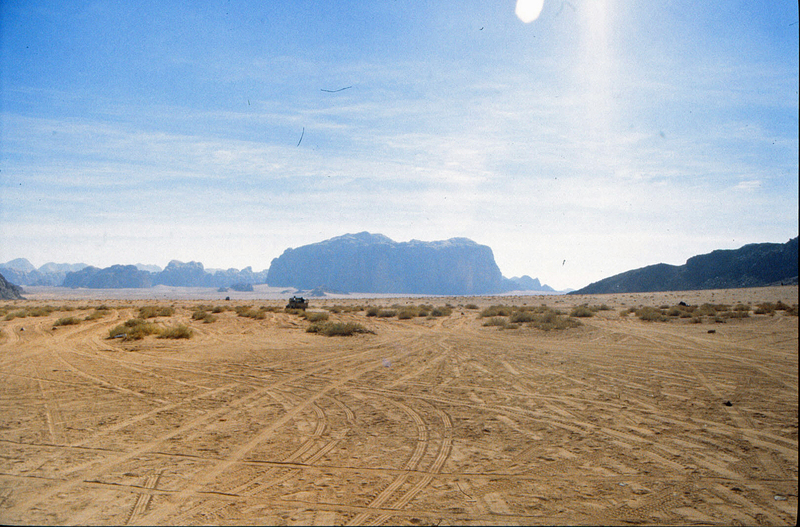 I didn’t see a fraction of what there is to explore, though I stayed long enough to see the Bedouin souvenir-sellers climbing into their Toyotas at the end of the afternoon, ostensibly to return to their houses on the hills behind. So I’ll have to go back again one day. This entry was posted in Life-enhancing experiences on December 29, 2014 by Mike Higginbottom. In Victorian times there was huge controversy about cremation. Utilitarian and sanitary arguments against burial were opposed by intransigent clergy. The Bishop of London, John Jackson, complained that cremation would “undermine the faith of mankind in the doctrine of the resurrection of the body, and so bring about a most disastrous social revolution”. The Bishop of Manchester, James Fraser, responded that God would have no more difficulty resurrecting ashes than dust, or “bodies which had passed into the structure of worms”. The very occasional cremations that came to public knowledge caused great scandal – Honoretta Brooks Pratt illegally cremated in 1769, Captain T B Hanham who built a private cremator for his wife, his mother and ultimately himself in Dorset – until the wildly eccentric Dr William Price’s cremation of his five-month-old son Iesu Grist in 1884 led to Mr Justice Stephen’s ruling that cremation was not an offence “provided no nuisance was caused”. The Cremation Society built the first cremator in Britain at Woking in 1879, originally little more than a furnace with a 42ft chimney. They hesitated to use it until the legal ambiguities had been resolved, and the first cremation on the site, 71-year-old Mrs Jeanette Pickersgill, took place on March 26th 1885. Thereafter a small number of cremations were carried out each year, and in 1891 a chapel and reception rooms designed by Edward Channing Clarke were added in a comfortable thirteenth-century Gothic style that was intended to reassure mourners and hide the functionality of the machinery within. The relationship between Woking Crematorium and the nearby Brookwood Cemetery was fraught with ambiguity. The Cremation Society bought the land from the London Necropolis Company, but through a third party so that the cemetery company could dissociate itself. Yet in due time the London Necropolis Company provided funeral facilities, including trains from Waterloo, and sold plots for the burial of ashes. Similarly, the vicar of St Peter’s Church, Woking, Rev Frederick J Oliphant, made an enormous fuss when the crematorium was first proposed, yet by 1889 the Rev William Hamilton, vicar of St John the Baptist, Woking, was conducting frequent funeral services at the crematorium for a fee of one guinea a time and also burying cremated remains in the churchyard at St John’s. 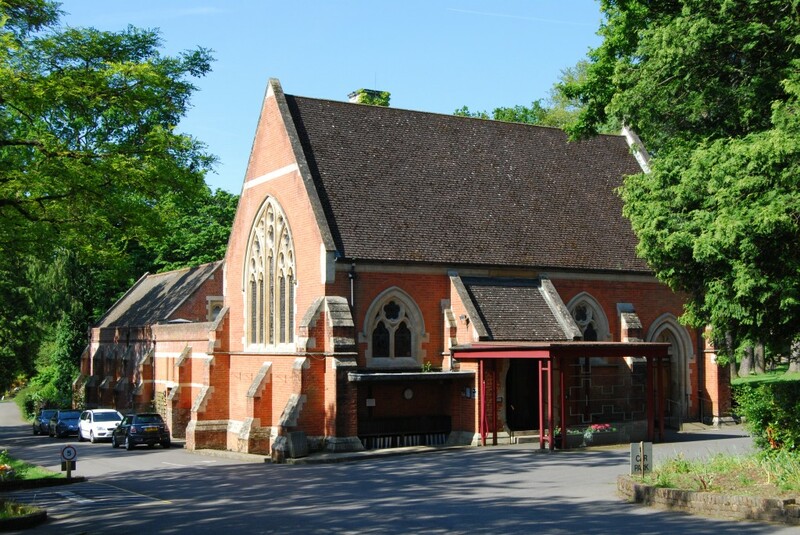 Woking Crematorium is still in use, its buildings cherished for their atmosphere and historical significance, its grounds a beautiful and extensive garden of remembrance: http://www.thelondoncremation.co.uk/woking-crematorium. Cremation is now by far the most prevalent form of disposal of the dead: in 2012 only a quarter of disposals were burials. This entry was posted in Cemeteries, Sewerage & Sanitation, Survivals & Revivals: past views of English architecture, Victorian Architecture on December 18, 2014 by Mike Higginbottom. Way back in 1980 I had a holiday in North Wales with a bunch of mates and someone mentioned a lost village on the coast of the Llŷn Peninsula. With no more information than an Ordnance Survey map we located the unbelievably steep valley of Nant Gwrtheyrn and trekked in the afternoon sun down the precipitous road to the abandoned terraces of the quarry village of Porth-y-Nant. The granite quarry which overlooks the wide bay was opened in 1861 by a Liverpool company, Kneeshaw & Lupton. In its heyday the place provided granite setts for roadways; latterly it produced larger blocks for civil engineering works and ballast for railways. All of the output and many of the supplies were transported by sea; the roadway was unfit anything but pedestrians and horse-drawn sledges. The initial small group of quarrymen’s houses was supplemented in 1878 by two larger terraces, Sea View and Mountain View, which housed families. The chapel, which bears the same date, accommodated a school which in the 1930s consisted of around twenty pupils and one teacher. The quarry closed early in the Second World War and by 1954 only three inhabitants remained. Thereafter the village buildings fell derelict, and this is what we stumbled on in 1980. The walk back, up one-in-three gradients and round hairpin bends in the gathering dusk, was not pleasant. 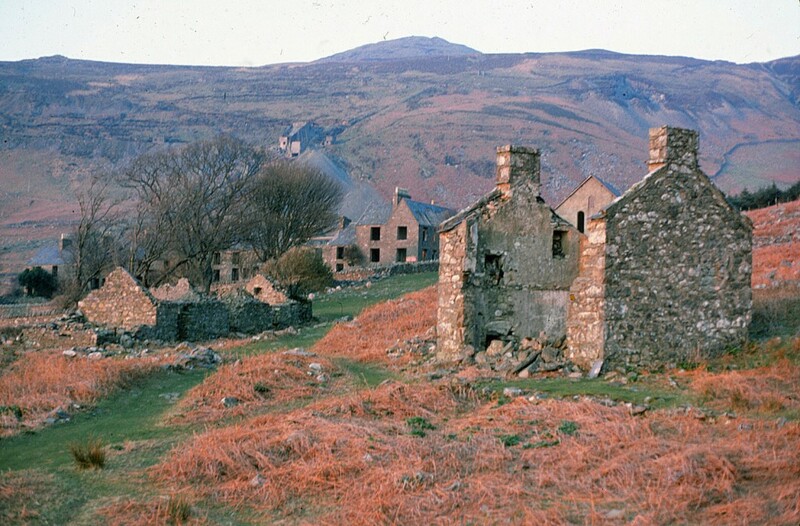 At the time only a notice on a ruined building told us that the place had been purchased by a trust, pioneered by a local GP, Dr Carl Clowes, which transformed the ruins into a thriving Welsh-language teaching centre, Nant Gwrtheyrn: http://www.nantgwrtheyrn.org/default.aspx. There is an outline of the gestation of this enterprise at http://www.forachange.net/browse/article/1950.html. There is remarkable film footage of the first motor-car ever to traverse successfully the steep access road (now, thankfully, much improved) in 1934: http://www.britishpathe.com/video/climbing-the-unclimbable/query/wales+hill. This entry was posted in Life-enhancing experiences, Victorian Architecture on December 12, 2014 by Mike Higginbottom. A couple of hundred yards down the road from the London Museum of Water & Steam (formerly Kew Bridge Steam Museum) stands the modernist home of the Musical Museum, Brentford: http://www.musicalmuseum.co.uk. 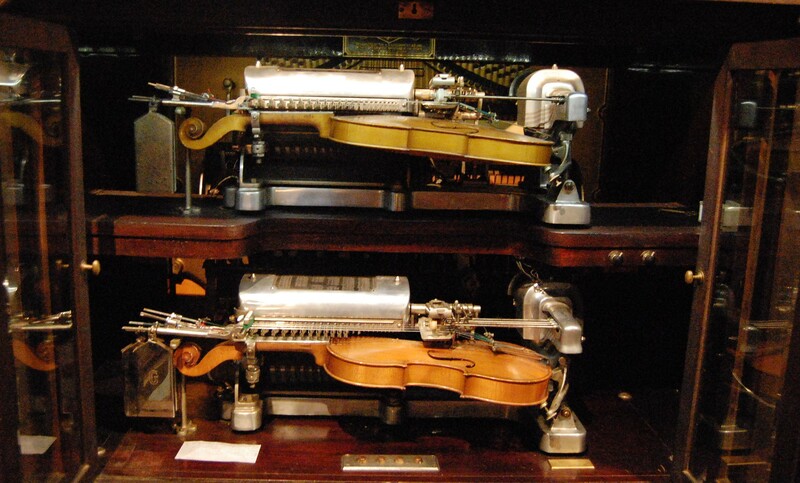 This rich collection of mechanical musical instruments deserves at least a couple of hours. I was taken round by Ron, who’s been involved in collecting these intricate and temperamental machines for six decades. He’s a mine of information, and tells you more if you ask relevant questions. The collection, which was started in 1963 by Frank Holland MBE (1910-89) as the British Piano Museum, extends from tiny clockwork musical boxes, through barrel organs and player pianos to vast orchestrions – pipe-organs that were designed to reproduce the effects of a full orchestra. I learned a lot. A pianola, for example, was not an entire musical instrument but rather the interface between the player roll and the keyboard of a piano or organ. Eventually the recording of performances became sufficiently sophisticated to reproduce the playing of great musicians. Ron allowed us to listen to Sergei Rachmaninoff (1873-1943) playing Rimsky-Korsakov’s ‘Flight of the Bumble Bee’ on a grand piano. A particularly fascinating rarity on show is the violana (or violano), a mechanical violin-player which self-rosinates: http://www.jonroseweb.com/f_projects_violano.html. The Brentford collection also covers sound recordings from the earliest phonographs onwards. I learned that the only way to quieten the sort of machine that Nipper the dog listened to was, literally, to put a sock in it. The climax of this collection of mechanical music-making is a mighty Wurlitzer, formerly installed in the Regal Cinema, Kingston-on-Thames. Now it is installed in an upstairs theatre, where it can be hooked to a paper-roll player. One of the participants in the visit I joined was an accomplished Wurlitzer player, who gave us a quick tour of the instrument. The Wurlitzer is hired out for £30.00 an hour – an ideal Christmas present for an organist: http://www.musicalmuseum.co.uk/page/30-wurlitzer. This entry was posted in Fun Palaces, Life-enhancing experiences on December 6, 2014 by Mike Higginbottom. There is a pattern of successful entrepreneurs with a weakness for steam engines collecting historic artefacts as an adjunct to their main business. George Cushing (1904-2003) at Thursford and Alan Bloom (1906-2005) at Bressingham are fellows in spirit with Graham Atkinson, whose Flower of May Caravan Site at Lebberston, near Scarborough, is the home of the Scarborough Fair Collection, an enjoyable assembly of fairground rides, steam engines, cars, motorbikes and commercial vehicles, embellished with a fine café and a dance hall with two mighty Wurtlitzer cinema organs: http://www.scarboroughfaircollection.com. Unlike Thursford, which is dark and theatrical, the Scarborough Fair Collection is top lit in daylight. 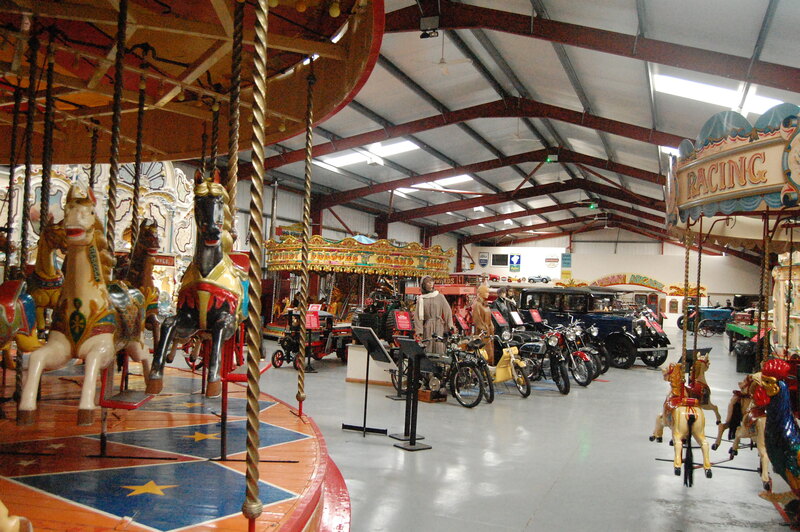 Its rides – including a set of gallopers (c1893), a Noah’s Ark, a set of dodgems and a ghost train – are spread around the building, with helpful notices indicating what time they run. The vehicles and other artefacts are thoroughly labelled, so that it’s possible to understand their significance – and in some cases, considerable rarity – even if you’re not an aficionado. Among its treasures it boasts four showmen’s engines (one of them The Iron Maiden, star of the 1962 film of the same name), a Foden steam wagon, a magnificent 1937 Scammell showman’s tractor, The Moonraker, and a fully restored showman’s caravan. – as well as a small example of a calliope, originally a fearsome contraption that could be heard for miles made for riverboats from locomotive whistles. Tea dances take place on Wednesday afternoons, using the two Wurlitzers. They are an interesting pair, respectively from the Granada cinemas at Mansfield, Nottinghamshire (1936) and Greenford, west London (1937). Both are the same size – 3 manuals, 8 ranks – but with contrasting specifications. The voicing of the Mansfield instrument is close to the usual specification of a contemporary church organ (Style ‘D’ Trumpet, Diapason, Tibia Clausa, Clarinet, Violin, Violin Celeste, Vox Humana and Flute) while the Greenford organ is altogether more theatrical (English Horn, Tuba, Diapason, Tibia Clausa, Saxophone, Gamba, Gamba Celeste and Flute). The Scarborough Fair Collection has much to fascinate enthusiasts for steam, motor vehicles, mechanical music, organs and all the fun of the fair, while at the same time entertaining those who enjoy wallowing in nostalgia over a cup of tea and a cake. This entry was posted in Fun Palaces, Life-enhancing experiences, Transports of Delight, Yorkshire's Seaside Heritage on December 1, 2014 by Mike Higginbottom.